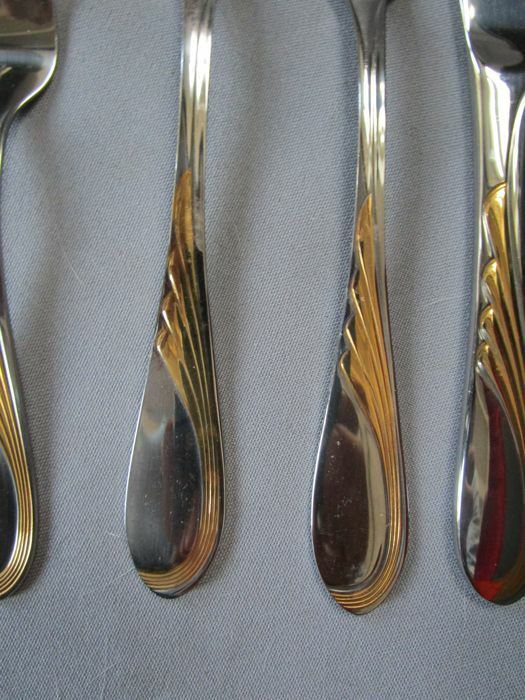 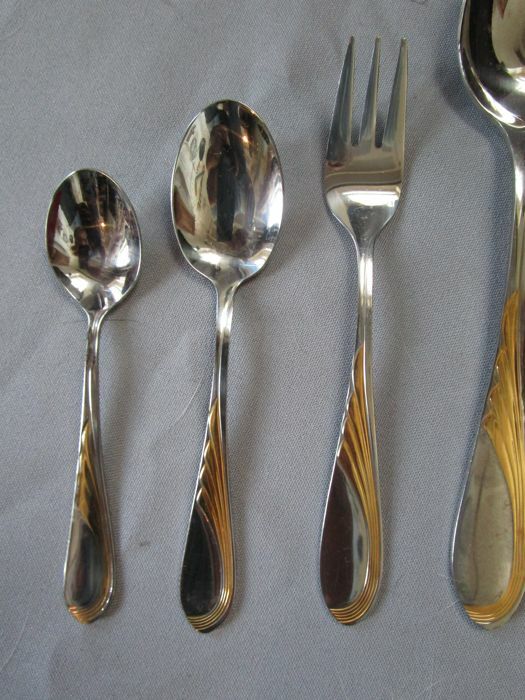 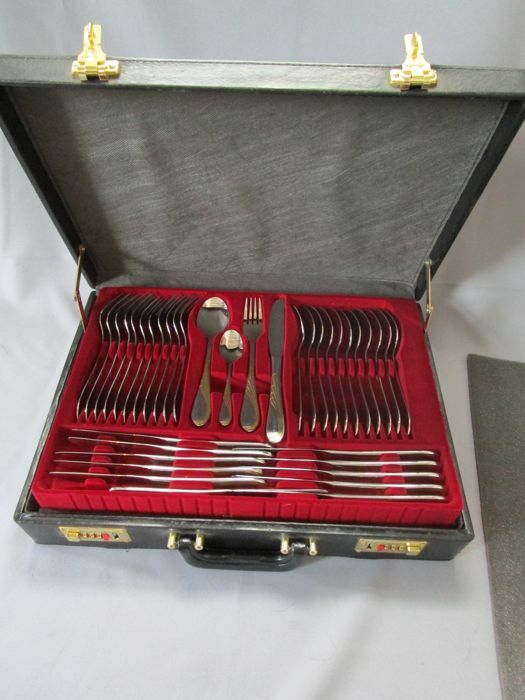 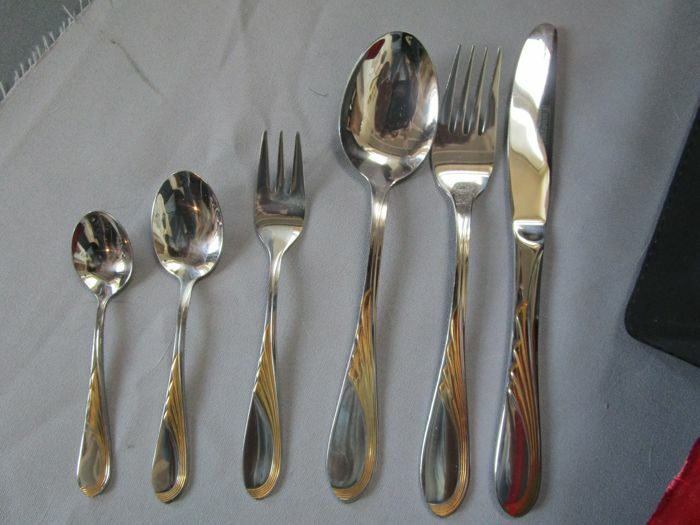 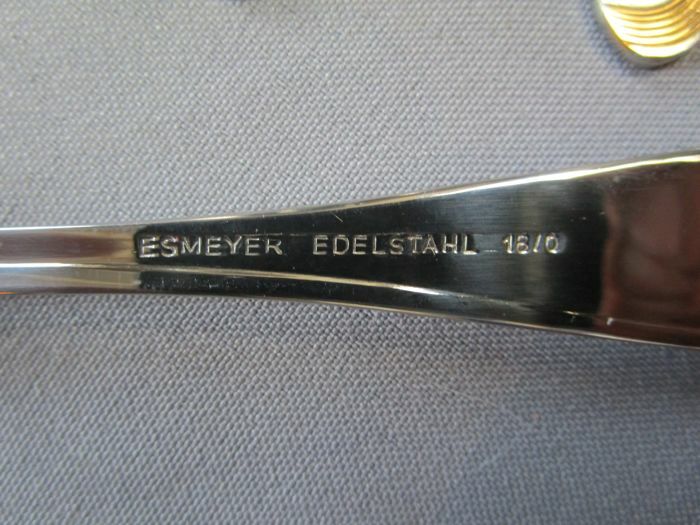 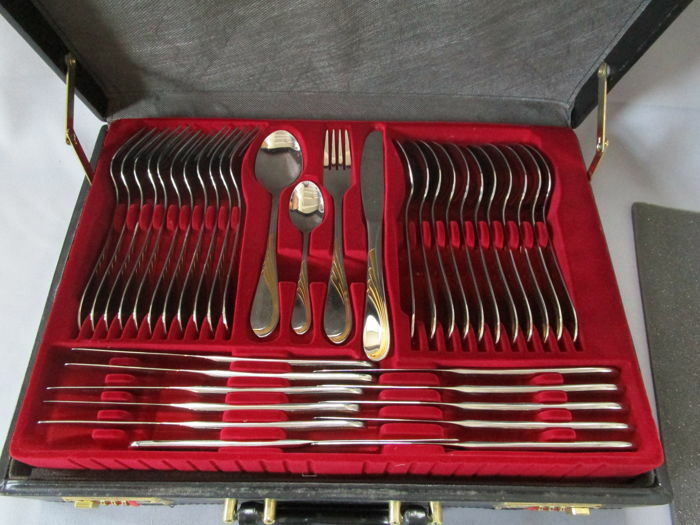 Carl Schmidt & Sohn is a very old cutlery manufacturer from Germany. 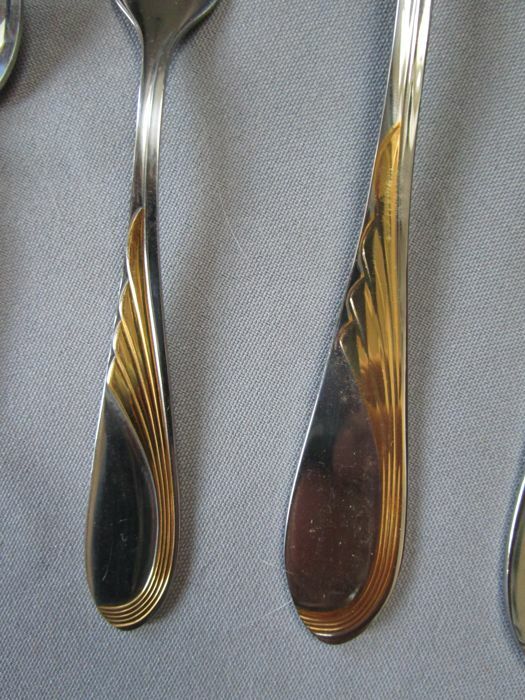 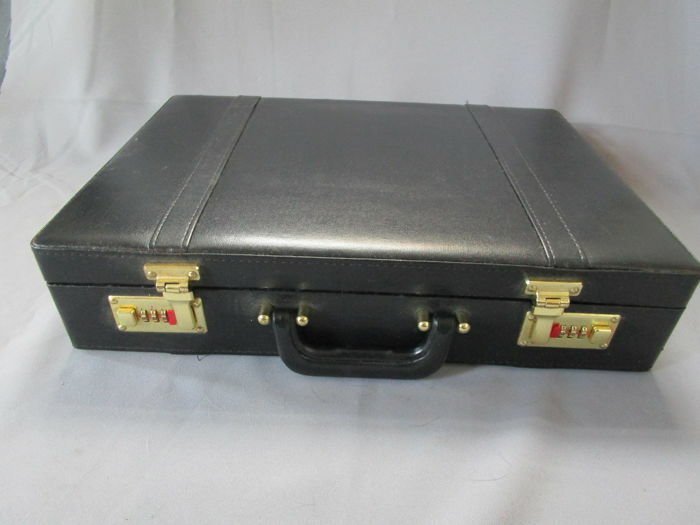 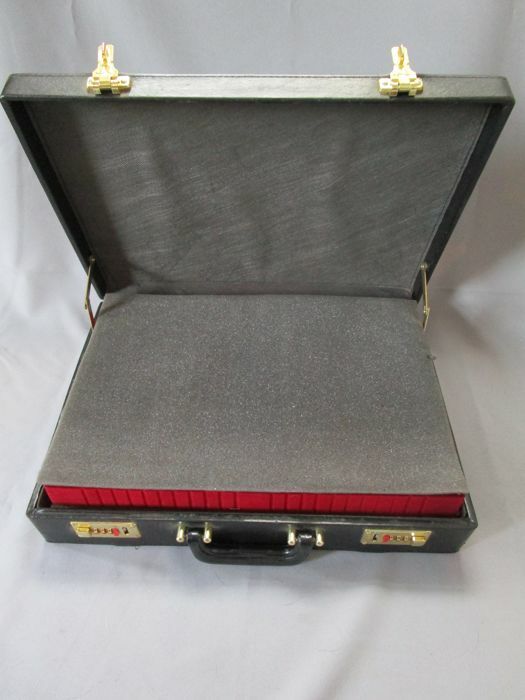 It has a partial 23/24 carat gold plating. 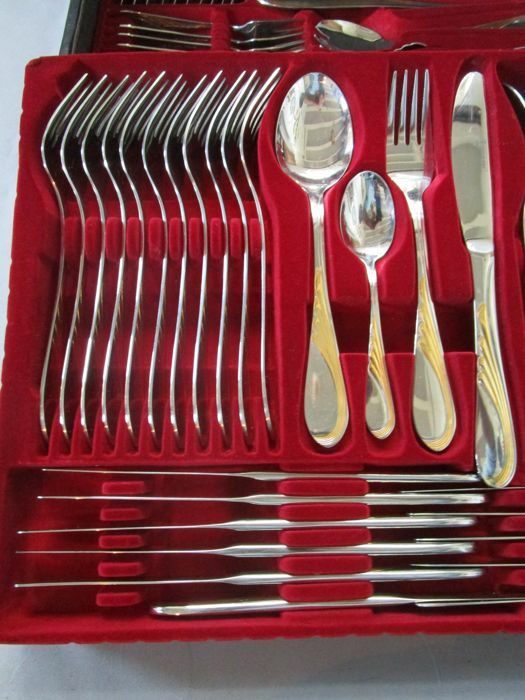 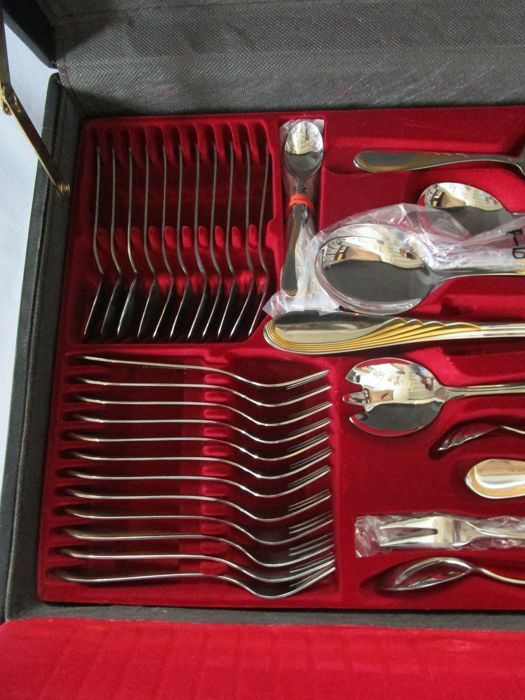 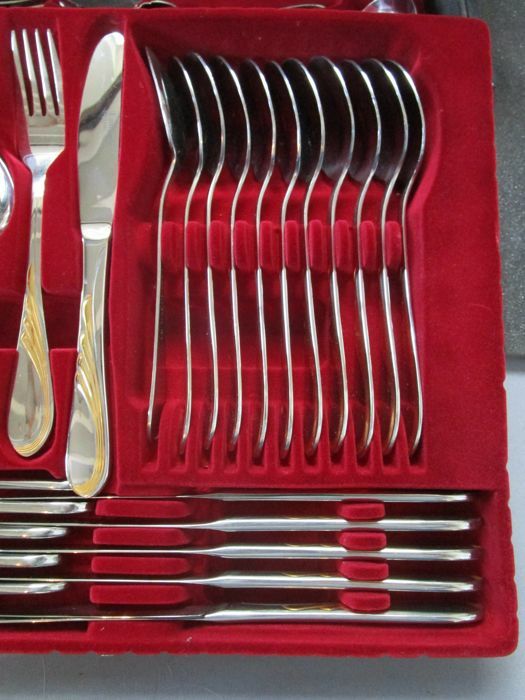 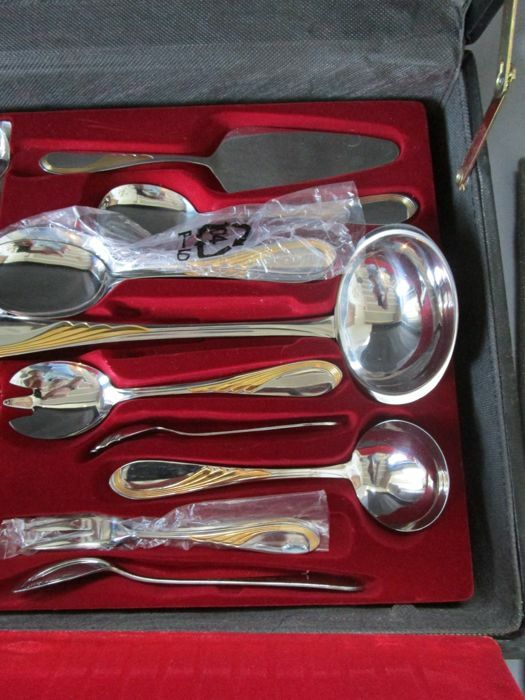 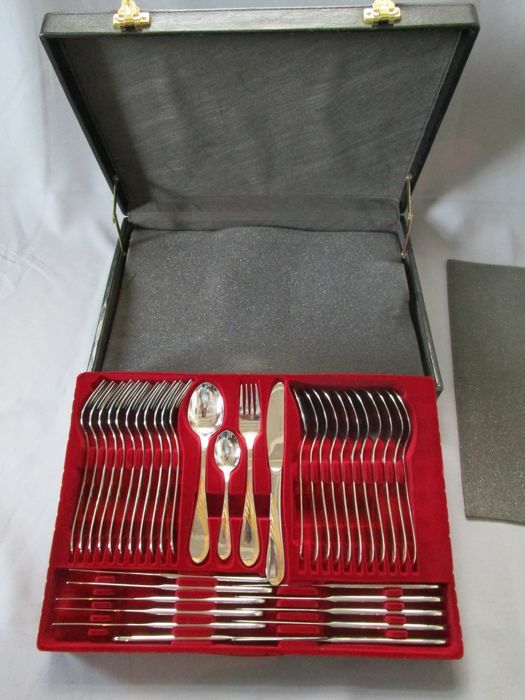 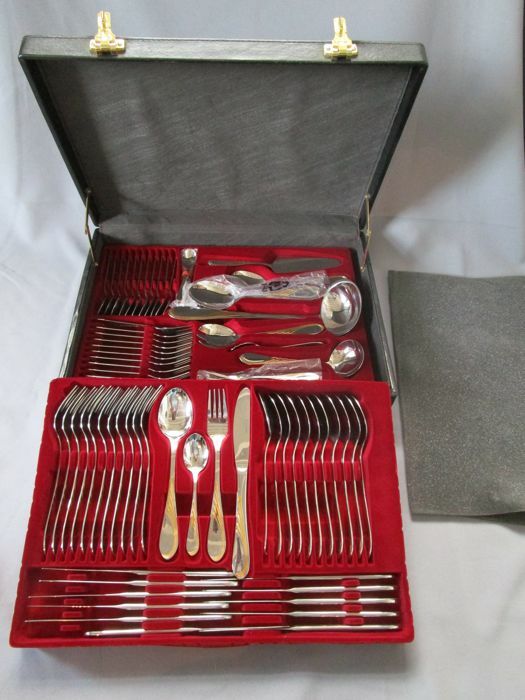 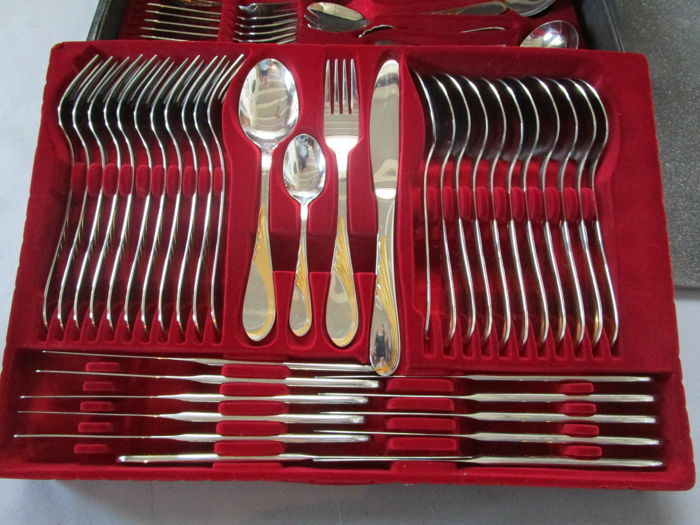 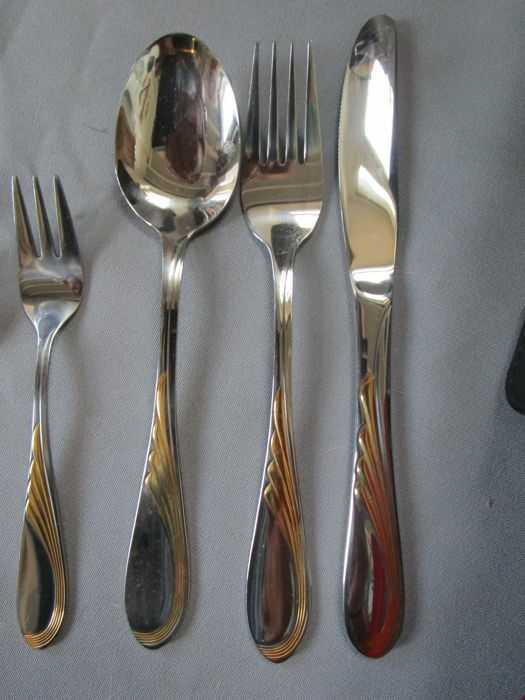 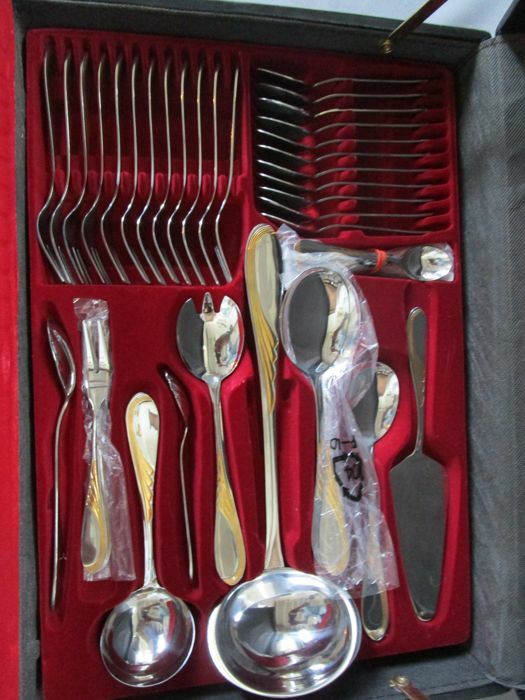 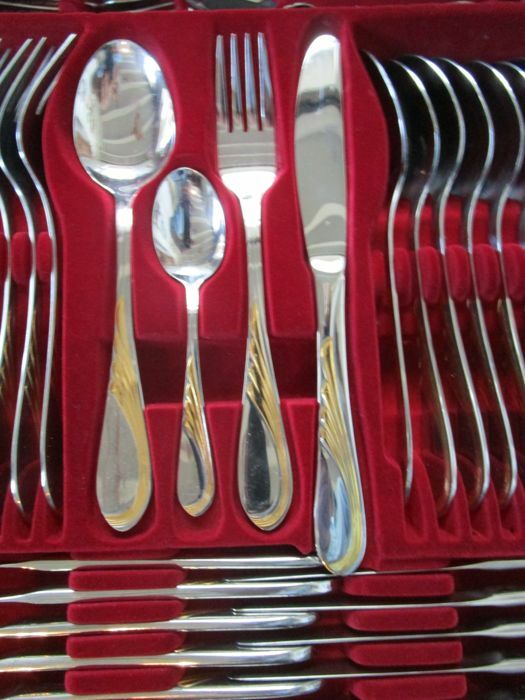 The cutlery set has never been used. 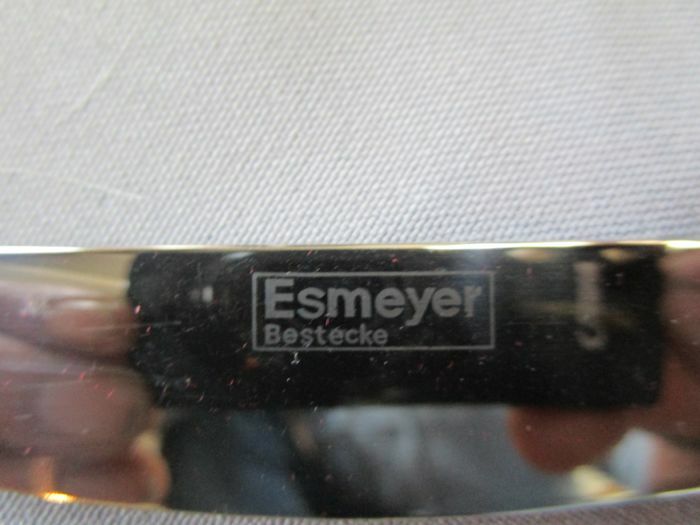 The instructions on how to set the combination lock are included (photo 8).